On 10 October 2017, in the margins of the CFs44, the International Fund for Agricultural Development (IFAD) presented “The Nutrition Advantage – Harnessing the Nutrition Co-Benefits of Climate Resilient Agriculture“, a study of IFAD’s experience in improving nutrition in climate-sensitive agricultural investments, shows that climate change impacts in agriculture and the prevalence of malnutrition in rural areas are deeply intertwined. The research also points to the urgent need to sensitize farmers to spending their hard-earned income on more nutritious food choices which lead to better health outcomes for the whole family. Income-raising activities are also crucial to allow families to buy the food they do not grow themselves. 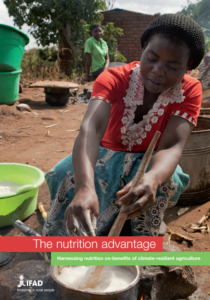 Paired with nutrition education, the report shows the positive economic and nutritional benefits of a diversified approach. The report points to examples of where IFAD is working on exactly this kind of multiple benefit investment. In Sudan, an IFAD-supported project on irrigation and land and water governance offered training on nutrition and food processing. Among the outcomes, women taking part learned about the nutritional benefits of less commonly consumed foods, such as vegetables, eggs and milk. They also learned how to prepare more nutritious dishes, the importance of good hygiene, as well as the benefits of a balanced diet. In Niger, in response to a harsh climate and land degradation, the IFAD-supported Family Farming Development Programme works with women’s groups to increase the availability of staple foods during the lean season and the production of foods with high nutritional value. Activities such as grain stores for women and “nutrition gardens,” are emphasized to help promote resilience to climate shocks. 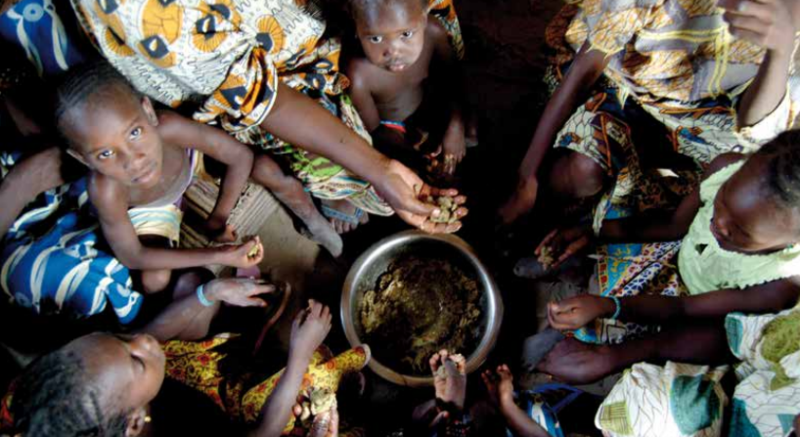 DYK #climatechange impacts in #agriculture & #malnutrition in #rural areas are intertwined?